A teenager who disappeared from Belgium in 1999 at the age of 14, shortly after his arrival from Angola in 1999, "one of the country's oldest records of disappeared minors" returned to the country 20 years later Found a "foreign country", announced Wednesday the prosecutor's office in Brussels. "He stated that voluntarily disappeared at the end of 1999 on its own initiative, as far as the family climate did not suit him," said Denis Goeman, spokesman for the prosecutor, at a press conference. The now 33-year-old Simon Lembi lives "under another identity abroad", which he obviously does not want to see. Goeman refused to say whether he had a family or worked in a profession. "Nevertheless, we can tell you that he is currently fine and that his family has been in Belgium warned against the positive resolution of the file," added Goeman. The latter, with whom Simon Lembi has "no contact", is still living in Brussels. She noted "the fact that we could identify it," Goeman said. According to the prosecutor's spokesman, Lembi used "his new country's procedures for unaccompanied minors " during his escape to change his identity. "He has a pretty tough past, he's already run away," he said. The missing person cell of the Federal Police was contacted in November 2018 by a person who claimed to be a close friend of Simon Lembi. The police then conducted an investigation "to carry out the necessary checks," which proved conclusive. They spoke in front of the person who admitted to be Simon Lembi. Born in 1985, Lembi disappeared in November 1999 in the Brussels borough of Saint-Gilles at the age of 14. 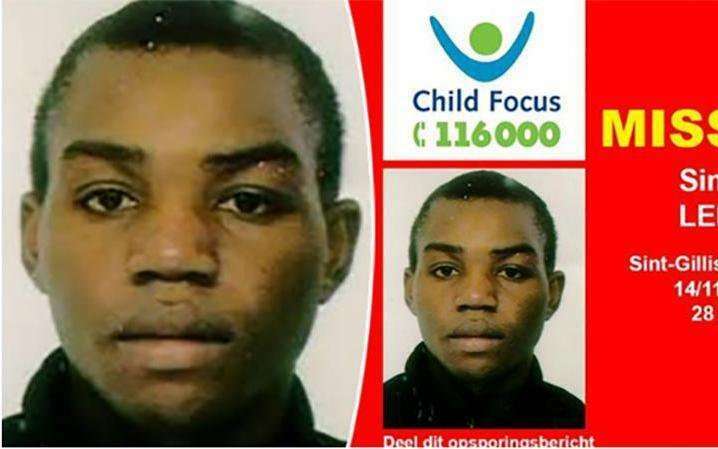 According to the last hour of interviewing his mother in 2015, he and his family arrived in Belgium from Angola, ten days before his disappearance. That day, he asked his mother if he could watch TV in a recording center. He never came back. His mother and his four children, of whom he was the oldest, had settled in a communal social housing unit. At that time, she had excluded the hypothesis of escaping.